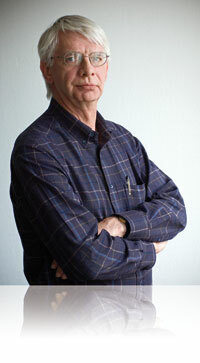 Robert "Rob" Blokzijl was a founding member of Réseaux IP Européens (RIPE), the European open forum for IP networking. Rob was RIPE Chair from its foundation until he stepped down 25 years later in May 2014. He was instrumental in the creation of the Réseaux IP Européens Network Coordination Centre (RIPE NCC) in 1992 as the first Regional Internet Registry (RIR) in the world. Prior to this, he was active in building networks for the particle physics community in Europe. Blokzijl graduated from the University of Amsterdam (1970) and holds a doctorate in experimental physics from the same university (1977). He was employed by the National Institute for Subatomic Physics (Nikhef) in The Netherlands. Robert was also selected for the Board by the Address Supporting Organization. He served on the ICANN Board from October 1999 until December 2002. On 18 October 2013, at the Closing Plenary of the RIPE 67 Meeting in Athens, Rob Blokzijl announced that he would step down as RIPE Chair at the conclusion of the RIPE 68 Meeting in Warsaw in May 2014. He was succeeded by Hans Petter Holen. From then, Rob held the title of RIPE Chairman Emeritus. Rob Blokzijl died on 1 December 2015 aged 72. The RIPE NCC has set up a webpage where you can leave your own tribute to Rob.